After much anticipation, PICKMAN’S GALLERY has a rapidly approaching release date. Scheduled for release on August 18th (HPL’s birthday), my story “Beyond the Veil of Pretty Pink Lies” is one of seventeen tales in this anthology inspired by Lovecraft’s Pickman’s Model. I’m extremely proud of Pretty Pink Lies, and find it particularly fitting that it comes one year after being unable to attend NecronomiCom (the intended publication date), which ultimately resulted in my writing hiatus and tangential pursuit of painting. Perhaps this series of coincidences will bring me back to the written word, but in the meantime, snag a copy of PICKMAN’S GALLERY (I’ll post a link as soon as it’s available) and check out what may or may not be my final story. I’m extremely pleased to announce that my story, PROJECT HANDBASKET, will appear in the forthcoming Ulthar Press anthology, A Lonely and Curious Country. This collection of Lovecraftian tales will debut at NecrinomiCon in Providence, RI next month. See the entire TOC here. The contract has been signed and returned, and the requested period of confidentiality has passed, so I’m pleased to announce that I’ve sold my story, ECDYSIS, to Flame Tree Publishing. 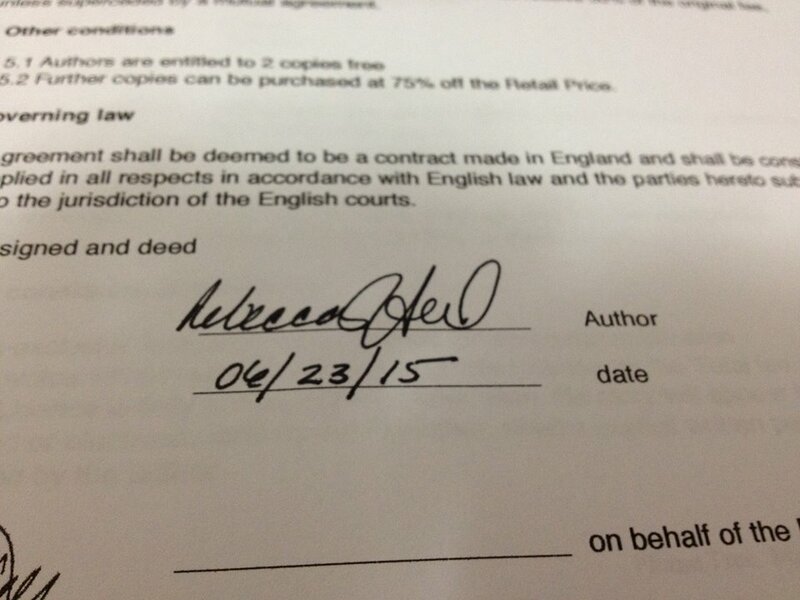 Sometimes, signing contracts is exciting! 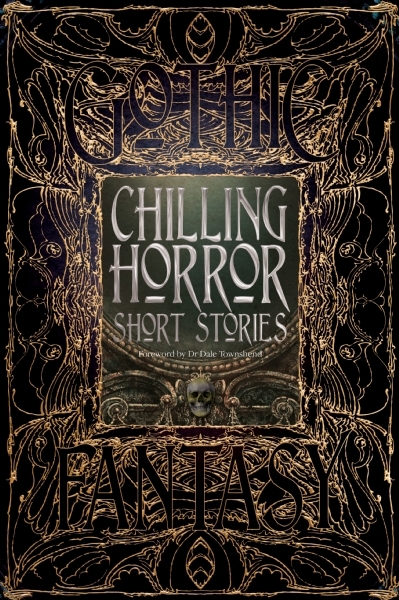 With a new foreword by Dr Dale Townshend, this is a chilling selection of brand new stories, and essential tales of horror from the infamous pens of Walter de La Mare, William Hope Hodgson, Arthur Machen, Henry James, Algernon Blackwood, M.R. James, Edgar Allen Poe, H.P. Lovecraft, and other nefarious authors… A dazzling collection of the most gripping tales of horror, vividly told. I’m thrilled to be a part of this collection, and I hope that when it becomes available you’ll consider checking it out. Publication is scheduled for August 15, 2015.